Like many other people these days, it seems an impossible task for me to turn on a computer without first logging in to facebook.com, closely followed by twitter.com. I find that, alongside a cup of tea, a little bit of light procrastination is the best way to start the morning and ease into the day’s workload. It’s a chance to catch up on all the latest happenings whether they are posted from friends, celebrities or just particularly interesting people. 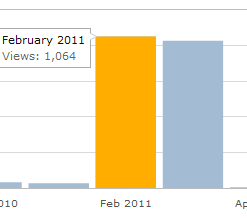 But I also feel it’s a fantastic source for updates on UK or even global news and for discovering the latest trends. Usually, I would allow myself half an hour to have a thorough browse and share my own semi-interesting thoughts with my followers. Then I am free to continue with my daily pursuits. March 11th was one such typical morning. Yet, social media played a larger part in that day than I ever could have expected. Waiting for me at the top of my twitter newsfeed was a tweet from @BBCBreaking: “Huge earthquake hits Japan.” Shocked, I scrolled down. 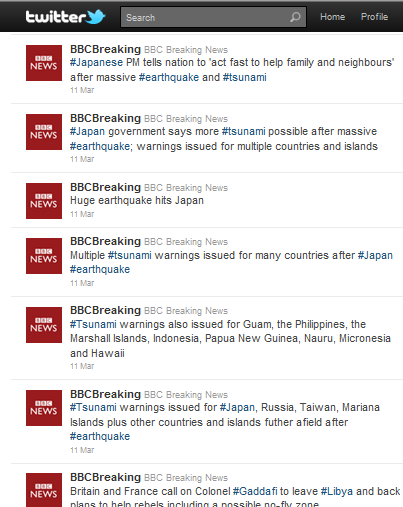 @guardiannews: “powerful earthquake hits Japan,” @TelegraphNews: “Tsunami hits Japan after 8.8 magnitude earthquake.” And then my eyes caught the trend on the right hand side simply stating “#pray for Japan.” I, and the rest of the world, said a prayer for all those affected, although, the number was yet to be known. The rest of the day was spent frantically watching each and every bulletin trending on twitter. I was redirected to news websites with more devastating information, images and videos. It showed a country under ruin, under rubble, under water. Few buildings had survived. Few people had survived. And for those who had survived, their lives had been shattered. 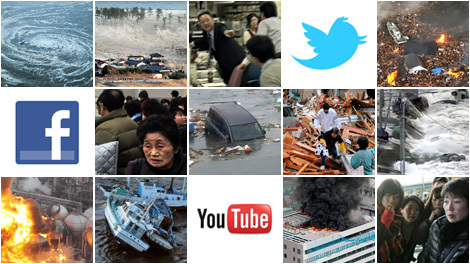 Youtube videos were uploaded of the tsunami rapidly covering the land, boats crushed under bridges, cars washed away, homes drowned. It was truly terrifying to watch. I found myself moved to tears as images were uploaded onto Flickr as the crisis was unfolding. 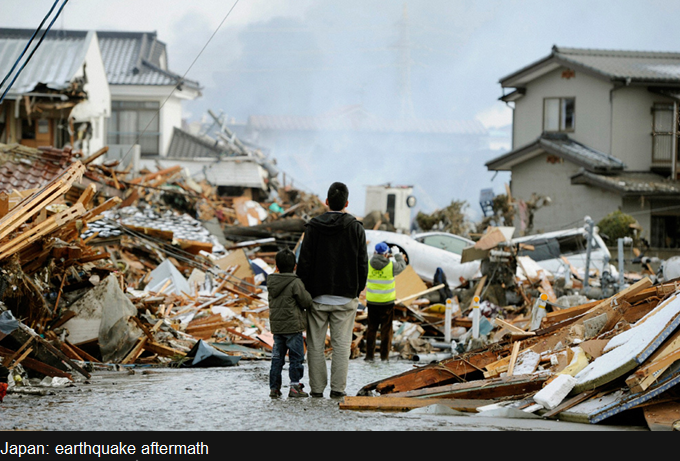 A small boy and his father are pictured looking out into the distance, facing the destruction that was once their home. With their backs to the audience, we can only imagine their saddened expressions. Another image showed a tiny little girl, perhaps no older than 5, being rescued from the rubble. I wondered what she was thinking and feeling behind her confused and worried little face. I wondered whether behind the photographer she had parents waiting to meet her, or whether hers was another tragic story. Piece by piece, each social network website played a significant part in informing and showing the world the tragedy as and when it happened. It then dawned on me the huge impact social media has on global news reporting. How a simple four-word tweet had grabbed hold of my attention and maintained it for an entire day through continuous reports of the horrendous natural disaster. Not only by informing through the one social platform but by redirecting me to their websites with more details, to other related articles and informing of special not-to-miss news programmes. It seems that social media has become a new platform for journalism and a new and accessible method for distribution. Had I not logged into my twitter account it is likely that the message would not have reached me so quickly and the sheer enormity of the situation may not have been fully grasped had I not seen the massive response from journalists and users around the world. I decided to speak to journalists in the professional industry to discover to what extent social media is reshaping journalistic practices. 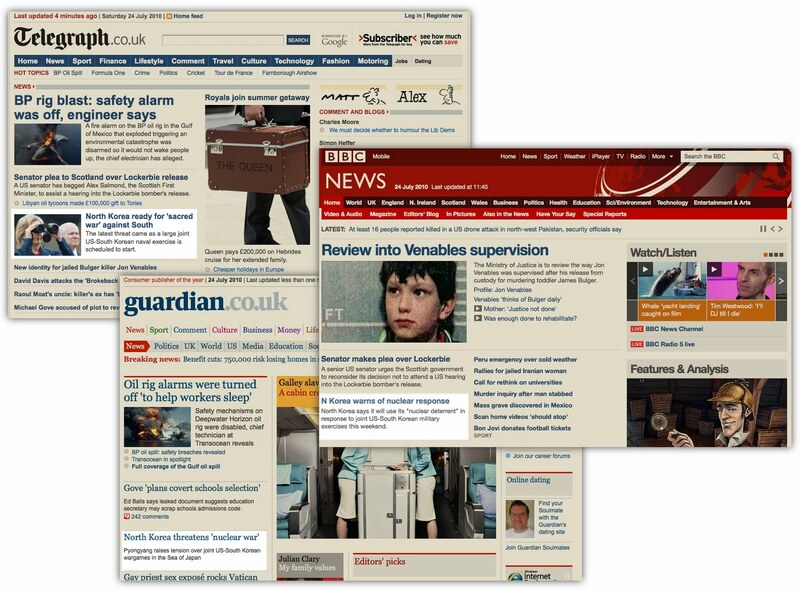 It is this referral to newspapers and websites for more depth that is perhaps acting as a life-saver to the newspaper. 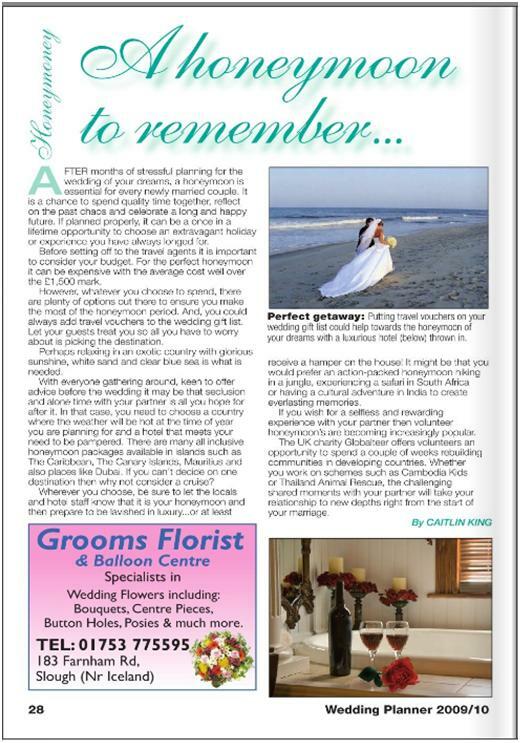 It can be seen to be generating traffic to newspaper websites and from there to the printed papers. Reading Chronicle editor, Sally Stevens, said social media platforms are not only effective for informing the public of breaking news but also for reporters who use the online mediums as a source for information. She said: “Reporters here will use Facebook and Twitter to track people involved in specific issues and to invite people to send in their personal experiences.” This was seen during the recent events in Japan with many news teams requesting additional information from their Twitter followers. @TelegraphNews wrote: “If you have any pictures/videos from the earthquake in #Japan or #tsunami damage, please email.” Sally explained that this is not a new technique as radio and television news have been asking their audiences to contact them for many years, but online media makes this a more accessible task. 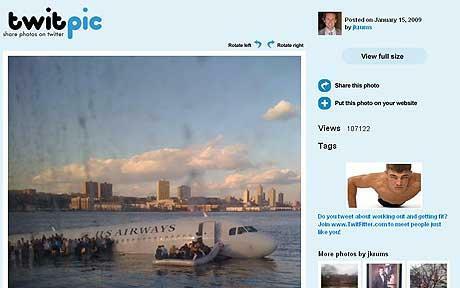 On the 15th January 2009 it was twitter users that broke the news of the plane that crashed in New York’s Hudson River. @JimHanrahan was the first to tweet: “I just watched a plane crash into the hudson rive [sic] in manhattan.” At this event citizen journalism was at its finest with images, videos and tweets documenting the unfolding drama. It was fifteen minutes after this that the mainstream media began to report on the crash. I must admit, breaking news for celebrities seems to feature rather heavily on my twitter feed due to the number of celebrity gossip gurus and magazines I follow. For me it has perfectly transformed the art of celeb spying. A recent example tweeted by @OK read: “Kym Marsh has given birth to a baby girl! Full story on its way…” Of course, I stayed tune. But with all the positives of social media it seems a little too good to be true. There must be some downsides surely? Yes, whether we like it or not, social media is here to stay. 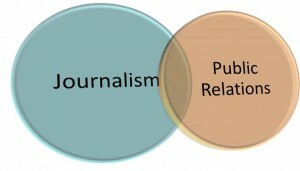 And I believe it’s for the good of both the public and the professional journalistic practice. Social media has the power to provide fascinating, real time running reports and real life accounts of major incidents which alongside traditional, trusted methods of reporting creates an eye-opening story. As horrific as it was to watch, it’s undeniable that the ability to share over the internet information and footage of the Japan disaster from those experiencing it at that very second, has transformed journalism. Bournemouth residents are being advised not to worry about high crime rates in the town’s clubbing district by the Council’s night-time initiative. A new website set up by the Home Office shows that Bournemouth is home to some of the highest crime figures in the country. Fir Vale Road and Lansdowne Crescent saw 72 and 68 crimes respectively in December 2010. BQN Initiative, part of Bournemouth’s Townwatch, is responsible for improving night-time safety. The initiative ensures police and chaplains patrol the streets at night and organise the annual Best Bar None audit. Best Bar None will run for the fifth year in August awarding pubs and clubs points for reduction of crime and disorder, health and safety and licensing regulation. Upmarket clubs The Studio and Priva lost their licence this month after complaints of assault, drunkenness and drug abuse. Last year Bournemouth was awarded The Purple Flag which recognises excellence in the management of town centres at night. 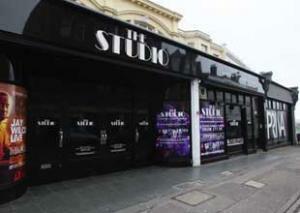 Bournemouth was praised for providing a safe, clean and pleasant night-time experience. At first glance media law can seem, to say the least, a little bit daunting. When my Journalism lecturer presented an hour of rules and regulations, what you can and cannot say, who you can and cannot identify, all of a sudden reporting seemed rather scary. One mistake and you could have a libel case on your hands and even worse a damaged reputation as a journalist. Of course, I was aware that there were restrictions, but journalists really do have so many barriers in-between free speech and the responsibility of informing the public. Accuracy is vital. Yes, we all know that sloppy grammar, punctuation and spelling is not professional but, more importantly, a simple slip could drastically change the meaning of the matter you are informing about. On the occasion an inaccuracy is published, correct and apologise… IMMEDIATELY! Be subjective. ‘Said’ is such a simple, and slightly boring word, but it does the job. Words like ‘confirmed’, ‘suggested’, ‘acknowledged’ puts your own stance on the matter and you must remain neutral. Also, ensure that you get balanced quotes so that the story is not one-sided. Be cautious in establishing what is fact and what is rumour. Rumours should only be reported in the interest of the public. Make sure you are always supported with authoritative sources. Oh, and don’t sensationalise, stick to the facts. Always report in good taste. Avoid publishing graphic details and gruesome photographs. Firstly, because you must respect victims and their families and secondly, who actually wants to read a horror story over breakfast first thing in the morning? Obtain information, photographs and illustrations by straightforward means. Remember to be ethical in collecting information and remember to protect confidential sources. The public interest should always come first. Never encourage discrimination. Only publish information about age, race, gender, marital status and sexual orientation if it is relevant. Be aware of reporting restrictions with regards to children. You must not identify them if they are under the age of 18 and involved in court proceedings. If you are reporting on non-judical matters then always seek permission from a parent or guardian. 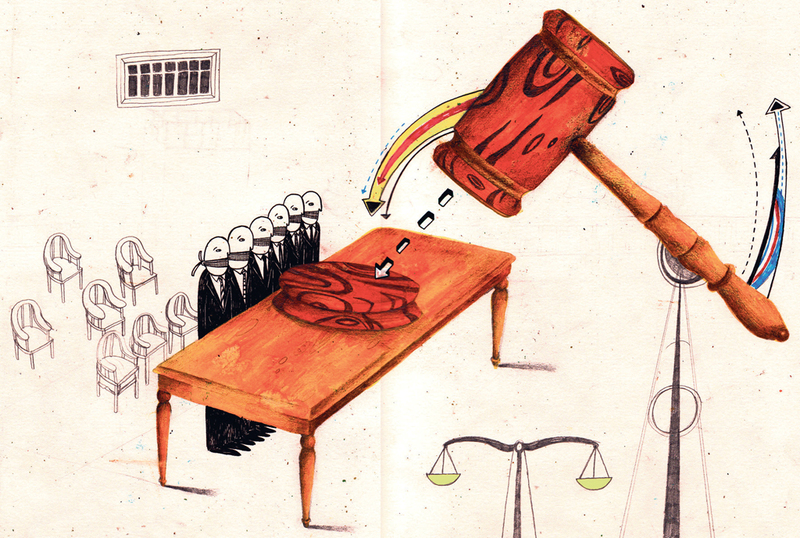 In court – now this is a complicated one. You should include in your report the name of the court, the defendant’s name, age and address and the charge or charges. Then of course you should state the plea, verdict and sentence. 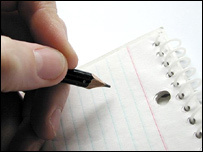 When writing about the case include details of who did what to who, where, when and how. Ensure you get accurate quotes. To obtain accurate quotes in court. Learning short-hand is a great idea as dictaphones and cameras must not enter the court room. You can identify the magistrate by name, however, you must not identify the jury. I suggest further research into court laws! In the second week of my journalism unit we were well and truly thrown into the deep end. After just a week of journalism theory we were to become Bournemouth University’s official reporters as we investigated how students really feel about semesterisation. It’s true what they say though, the best way to learn anything is to just have a go… so that’s exactly what we did. Firstly, be prepared. Research the facts first, know the subject inside out and read any related articles first. Having a solid understanding and knowledge of Bournemouth University’s semesterisation programme was key. Make sure you know what you want to ask interviewees and choose people who will add credibility to your story. I prepared a selection of questions to ask students and lecturers at the university. However, these were only used as guidelines as it was important to respond to the answers given and to find out more about particularly interesting points. You don’t want to miss a crucial angle by skipping to the next question. Finding contacts can be difficult. Students were not too difficult to find as I was already at University so I decided to chat to students in the SU bar. Speaking to lecturers was a little bit harder as they work to a busy schedule. To overcome this I researched specific lecturer’s office hours and dropped by to see if they were available to chat. Speaking to those involved with the student union was also useful and they were particularly keen to share their views. When reporting make use of all the mediums around you for reaching potential sources- Twitter and Facebook can be great for this. Once you’ve found a wide range of sources, getting each of them to speak to you can be even harder. Always be polite and introduce yourself, the subject you would like to discuss and explain why you are interested in their views. Remember to take all key details that may be needed in the story. For this example, I took the interviewee’s name, age, degree and year. Also, if you are unsure of a spelling then ask. It is always best to double check all details are correct at this stage than to get it wrong in the report. If a source asks to remain anonymous then you must respect their wishes. 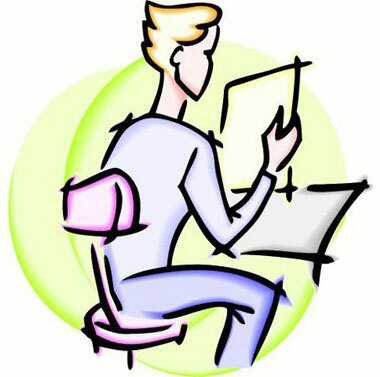 If possible take a contact detail so that if you have any queries when writing the story you can get back in touch. Remain organised. A good reporter should have spoken to many sources before they begin writing so it is important to keep all your notes in order. I also find it is useful to keep track of all the people I have contacted and ticked off those who have responded. It does not look professional to pester those who have already declared they are unwilling or unable to comment on a topic. Once you feel you have enough information full of credible sources and a clear, newsworthy angle you are ready to write.